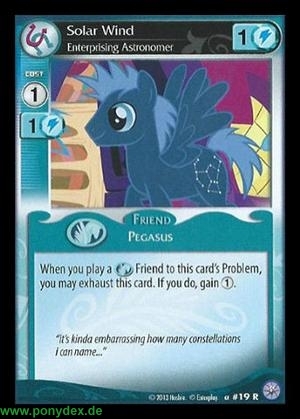 When you play a Pegasus Friend to this cards's problem, you may exhaust this card. If you do, gain 1 action token. "It's kinda embarrassing how many constellations I can name..."